In this article we look at the different uses of wall coatings and the wall coating products available across Ireland. Damp proofing coating (interior & exterior): Decorates and proofs in one! Often epoxy based and suitable to use for damp proofing floors and walls. Provides a hard wearing and chemical resistant surface which resists fungal or bacterial growth. Look on the packaging for ”microporous”. A good wall coating lets moisture vapour escape from substrate. Sometimes a primer/sealer is recommended. Uses: Ideal for basements or any area where there is a damp problem. Also walls, ceilings and floors in dairies, laundries, cellars, or bathrooms where a waterproof paint for interior walls prevents mould growth. Hygienic wall coating (interior): Protection and decoration. This type of wall coating often uses a special silver ion technology that attacks MRSA and repels fungal and bacterial growth. You can clean the wall repeatedly without damaging the hygienic qualities. Weatherproof coating (exterior): Exceptionally hard wearing waterproof paint for exterior walls. Sometimes offers added benefits like solar reflective properties, anti fungal or even protection against graffiti. Is often capable of withstanding up to 10 years or more of extreme weather and temperature changes. 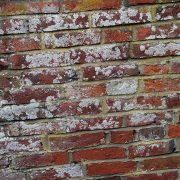 Mould on exterior brick walls can be prevented with waterproof sealant. No one can deny that Ireland has its fair share of rain. Rain can penetrate your masonry walls, and sometimes they may be so damp that moisture even travels from the outside wall through to the interior wall. You always need to fix these issues first, before applying a waterproof sealant. Once fixed, you can apply a clear waterproof sealant as a preventative measure against future damage. With a waterproof sealant for exterior walls, Ireland can throw all the rain she has at it and the damp will stay outside. 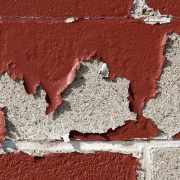 When choosing a waterproof sealant for your exterior walls it is often recommended to find a formula that will allow the brickwork to breathe, which lets the damp in your walls to dry out rather than trapping it. Sealant also penetrates the wall much deeper than traditional liquid systems. A good waterproof sealant can penetrate brick work by up to 12mm, giving better protection against wind driven rain. Product example: Watco’s Masonry waterproofer (from €114,- 5L) does not block pores, but lines them with silanes and siloxanes which repel water but still allow the substrate to breathe. It’s highly resistant to UV light and has a life expectancy of 20 – 30 years. With one tin you can cover approx. 25m² one coat is normally sufficient. Applying wall coating is easy to do yourself! Here’s how for most coatings. Always take a look at the manufacturers instructions before applying. Always prepare surfaces thoroughly to prevent wall coating from failing. Prepare the surface: The surface must be absolutely free of all contamination before the product is applied. Be sure the wall is dry, dust free and free of loose material. To ensure penetration also remove all previous paint and sand the wall. Apply a primer or wall sealer: If the wall is very porous like plaster, concrete, brick or masonry, apply a primer for optimum adherence. Mix the two components: Empty the two components into a tin and stir it with a wide bladed tool very thoroughly until an even colour and texture is obtained. Never mix more of the components than you can apply in 1-2 hours time. This is often what they call the “pot-life” – the time it takes for the paint to harden. Apply using a roller for an even finish: Do not re-work areas of coating or attempt to even out areas which are starting to cure and showing differences in colour. Any colour differences should disappear when the coating is thoroughly cured. Apply a second coat: After 24 hours or according to the manufacturers instructions. On high suction backgrounds or very damp surfaces three or more coats may be required. With wall protection such a necessity for health and building stability, it is no surprise that there are many manufacturers and companies providing wall coating products for the Irish market. Brands like Watco have waterproof sealants for exterior walls, while Crown Paints, and Zinsser have waterproof paint for interior walls like bathrooms. If you are looking for professional to apply your wall coating, or simply need the advice of an expert in the field, there are plenty of wall coating applicators and contractors working in Ireland. Below is a list of just a few. If you would like more information, or if you need to source a waterproof paint for exterior walls or interior walls for your project, get in touch! Our experts are here to help. In collaboration with our coating partners, we will determine the coating solution for your needs. Simply use the button below or the “contact us” page and give us a little information about your wall coating project so we can get things started. 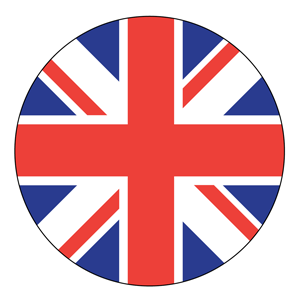 Our quotation service is 100% free, so why not contact us today!